The Good: The Ultimaker 3 app brings 3D printing to your fingertips. With the swipe of a finger, you can start a 3D print and monitor it remotely using this app, which is synchronized with the Ultimaker 3 printer.The Ultimaker 3 app even allows users to slice models using their smartphones or tablets. The Average:While the app gives a nice start to mobile 3D printing, it needs upgrades in its features. As the company is working on app improvement, users can expect better functionality in future towards receiving notifications or additional remote control functions.The app may also have more dual material profiles. 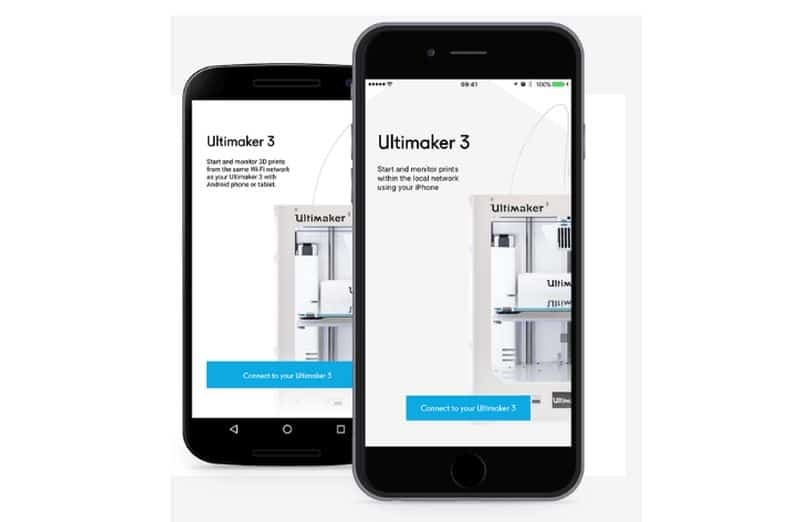 The Bad:The Ultimaker 3 app is limited as of now in terms of its features, as there are many similar apps in the market with enhanced functionality. To beat the competition, it is critical that Ultimaker 3 introduces more file formats and advanced design tools, along with higher capabilities to change or refine models. Ultimaker, a developer of open source 3D printers and tools, has come up with a useful app that can help users in 3D printing from a remote location. This app can be easily and effectively synchronized with its own 3D printer called Ultimaker 3. 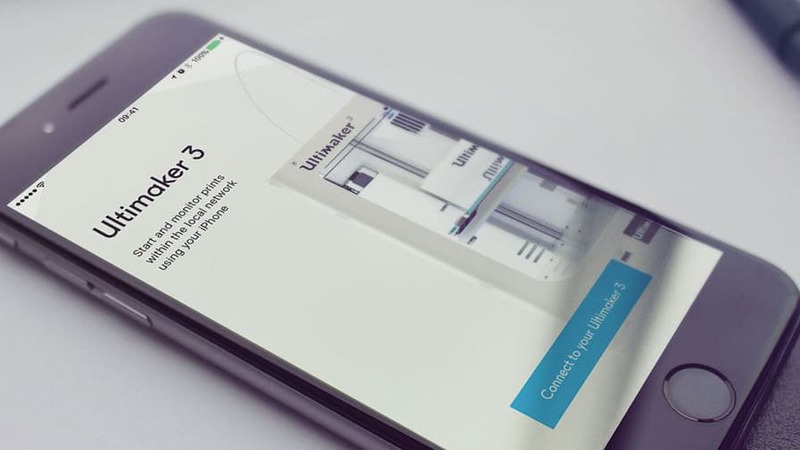 Main app features:The Ultimaker 3 app is a streamlined app that can connect to your local Ultimaker 3 printer. It is compatible with both iOS and Android platforms. The app has the ability of creating prints with profiles for Nylon, ABS, PVA, PLA, CPE, and more. It can even help you to slice models with its online slicing service. You can also monitor the progress of your printing task via the integrated camera of your printer. User experience:The app ensures a streamlined mobile 3D printing experience for its users. It is an easy-to-use app with a user-friendly interface. With a few swipes and clicks, an entire task of starting and monitoring 3D printing can be done. The best aspect is that this can be done remotely from the same Wi-Fi network as your Ultimaker 3 printer using your phone or tablet. You do not even need to be in the same room where your printer is placed in order to start printing. App functionality:The Ultimaker 3 app allows you to search for 3D printers to connect to. You can do this smoothly while connecting the app to your specific model of Ultimaker 3. You not only have the option of choosing your printer model from the list of discovered printers, but also have a manual search option using the required IP address. Further, the app lets you load a 3D model in STL and g-code file formats.You can then match materials, apply printing settings for optimized quality profiles, slice your print, and monitor the progress of your print. Competitiveness: The Ultimaker 3 app is limited in terms of supported formats and material configurations. Many popular mobile 3D printing apps like Autodesk123D, Tinkerplay, and Thingiverse allow many file formats and come with various advanced design features. Still, Ultimaker is working on enriching its app and users may find additional features in near future. 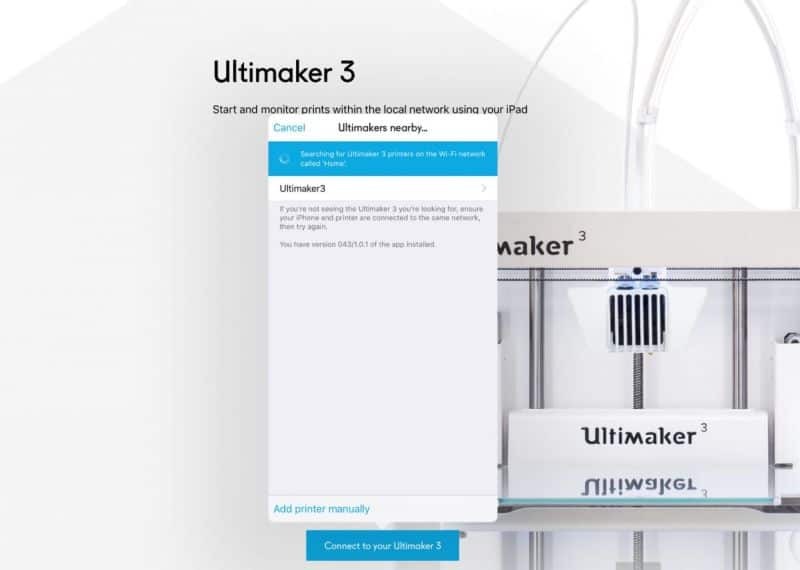 Verdict:The Ultimaker 3 app is a useful and simple tool that works smoothly when it is about synchronizing it with the right Ultimaker 3 printer or when 3D printing has to be monitored. As the app is available for free, it can be a cost-effective option for people who are looking for a decent mobile 3D printcontrolling and monitoring app. While it has agood scope of features improvement, Ultimaker 3 works nicely with its existing functionality and capabilities to come up with professional 3D prints for a wide variety of objects. Overall, it is a quick and easy option for 3D printing remotely.